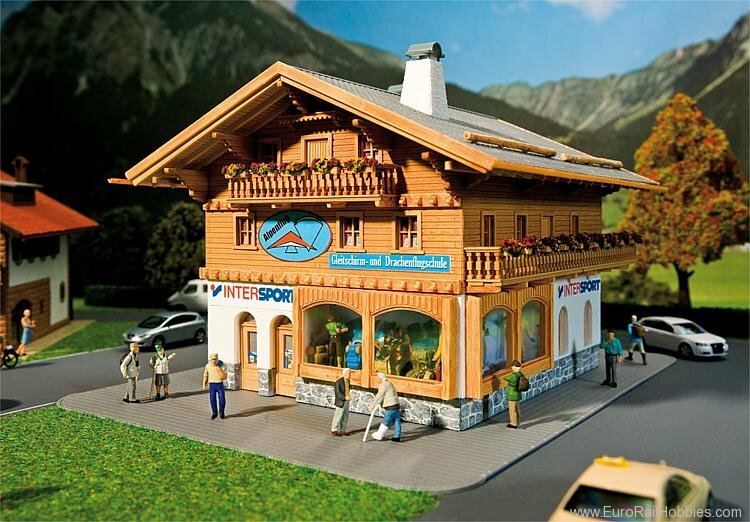 That dwelling house built in the alpine style accomodates a sports outfitters' shop and a paragliding school. To supplement the model you will find paragliders and the suitable starting ramp at Art. 180602.